In the age of the Kindle, it’s hard to imagine that not so long ago few people could read and that books were rare and expensive objects that only the rich could afford. Before Johannes Gutenberg revolutionized book production in the early 1450s by printing the Bible—the first major book produced in the West with movable type—each volume had to be copied by hand. Even after Gutenberg’s breakthrough, scribes still bent over their labors, and to this day Jews produce Torah scrolls and other sacred texts by hand. But there was a boon to the hand-copied texts: Those created for the very wealthy were decorated with exquisite floral and geometric ornamentation and figurative miniatures. The ones that have survived are among our civilization’s greatest treasures, and some are preserved in the great libraries and museums. Often they are shown only to a handful of scholars; only occasionally are they displayed to the public. Now the New York Public Library is showing rare manuscripts from its collection in an exhibition titled Three Faiths: Judaism, Christianity, Islam. The idea for this exhibition, running through February 27, 2011, at the library’s Stephen A. Schwarzman Building, grew out of a 2007 show at the British Museum, called Sacred, which I had a chance to see during a stopover on my way home from Boston. I love old manuscripts. They make me feel as if I am directly in touch with the past. But in London, as I gazed at the beautiful illuminations I felt as if I had touched the divine—the highest expression of the creative spark in humankind. The theme of the sacred texts of the three monotheistic religions is clearly in fashion; it was also the subject of an exhibition titled East-West: The Spiritual Roots of Europe, that ran through April 2010 at the Martin Bodmer Foundation Library and Museum, in Geneva. The museum is a repository of exquisite rare texts and works of art with a literary connection, beautifully displayed. A visit to the museum was the highlight of my working visit to Geneva. One of the first things I learned about illuminated manuscripts as an undergraduate was that the third commandment’s prohibition against graven images was often disregarded, even in Judaism and Islam. 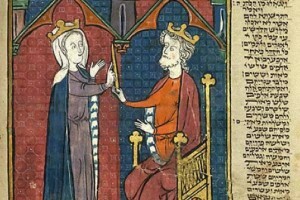 In Jewish art, a famous instance in which human faces were avoided was the Birds’ Head Haggadah, created in Germany around 1300, but in many other Jewish texts, such as the Sarajevo Haggadah, human faces appear. While visiting Sarajevo in 2006 to research a story, I had a chance to see that 14th-century haggadah, which is the city’s most famous Jewish treasure. In one of its 34 brilliantly colored, full-page illuminations, Potiphar’s wife grasps Joseph’s red cloak as she attempts to seduce him. Created in Spain, this is perhaps the best-known and most valuable illuminated Jewish manuscript. It was rediscovered in 1894, when a child whose father had died, leaving the family destitute, brought it to school to try to sell it. It eventually passed into the possession of the Sarajevo Museum, where it was hidden from the Nazis during World War II and was hidden again during the last war. Today it is displayed along with other priceless illuminated manuscripts in a high-security room in the Land Museum (as the Sarajevo Museum is called today) and may be viewed only by advance arrangement. It is ironic that St. Petersburg, a city in which all things Jewish were banned by the Soviets, is the home of the earliest known complete Hebrew Bible, written in Egypt in 1008 to 1010 and known as the Leningrad Codex. It is in the State Library, which has one of the world’s largest collections of Jewish manuscripts. Even as a journalist I needed connections to enter the early manuscripts department, which is closed to the general public. And though I got in, I was shown only a facsimile of the famous codex. Still, it sent a thrill up my spine. And I did see the original of a partial Torah manuscript with gold illuminations, dating to 929. When the Israel Museum, Jerusalem, reopened in July 2010 after a three-year expansion and redesign, one of its new sections, in the Jewish art and life wing, was a gallery exhibiting Hebrew illuminated manuscripts. Among them is Maimonides’ Mishne Torah, created in the 15th century with illuminations by one of the finest workshops of miniature painting in northern Italy. The illumination on display depicts the high priests of the Temple, in Renaissance dress, carrying out the sacrifices. Another illuminated manuscript is Musa Nama (the book of Moses), a poetical compilation of biblical books in Judeo-Persian. Created in Tibriz, Persia, in 1686, it has miniatures that reflect Muslim influence and reveal the clothing and customs of the period. The Kindle doesn’t hold a candle to these treasures. But luckily for armchair travelers, more and more libraries and museums have technology that allows visitors to their Web sites to view some of their most beautiful manuscripts. Text copyright 2010 by Esther Hecht. No part of the text may be used without written permission of the author. Image (c) British Library Board. One suitcase has a finite volume; two suitcases have infinite volume. I think of you often. In fact, each time I have to stand in line to take off my jacket and boots and empty my pockets and pull my laptop out of its carrying case and show the world which brand of toothpaste I use, I think of you and mentally curse your name. I thought of you last year, too, after I broke my wrist while camping in northern Oregon and my purple cast put every airport I passed through on high alert. I was thinking of you again this morning while packing the single suitcase I’m allowed to check on my transatlantic flight home. It used to be two checked bags, but now—thanks to you and the airline troubles you helped cause—American Airlines is allowing me only one. Tomorrow morning I’ll be thinking of you again, Osama, because then I’ll be packing my husband’s suitcase, and everything that didn’t fit in mine has to go in his. You see, Osama, my husband and I have a wonderful division of labor: I pack the bag and he sits on it so I can close the zipper. We generally travel light. 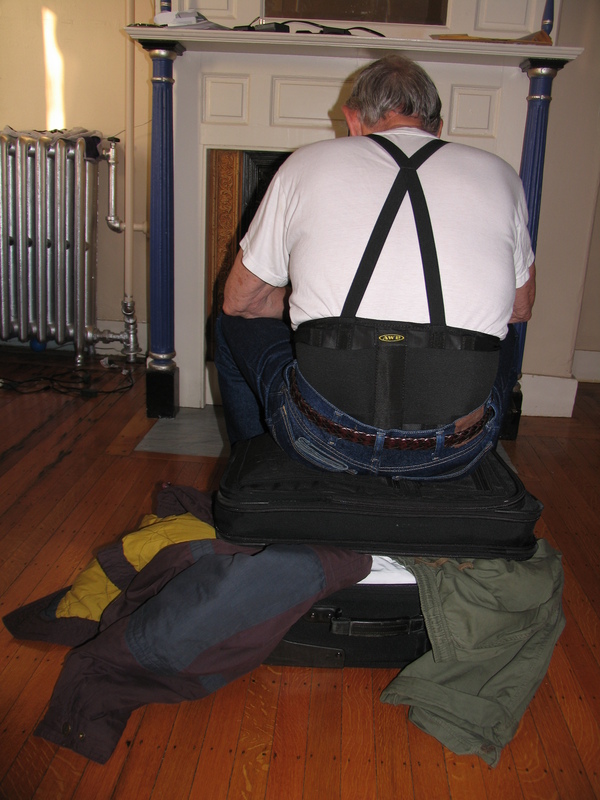 But on this seven-week trip to the United States we had to pack for hot weather and cold. And beside our clothes, there’s the winter wardrobe for both our Jerusalem grandchildren that our daughter-in-law ordered on-line and expects us to bring back. And the 4-lb. jar of chocolate-covered raisins that my family is addicted to. And the fish oil and glucosamine that are much cheaper in the US than in Israel. And the heavy winter shirts my husband bought as gifts for his friends. And all the books we picked up along the way. And that’s not mentioning the car and motorcycle parts without which no visit to the US would be complete. I recently saw a video of a former flight attendant packing three days’ worth of clothes in a carry-on bag for a vacation in the Bahamas. I was impressed by how much she was able to cram into that tiny bag, though I couldn’t for the life of me understand why she needed six pairs of shoes, five dresses, four jackets, six blouses, four skirts, three bathing suits, and three pool cover-ups. She succeeded in her amazing feat by rolling up the clothes. I tried that while packing my bag this morning. Whether it was effective I can only hope, because I didn’t take everything out again and start again to compare it to the old-fashioned way. But some items were left over. Tomorrow morning, Inshallah Osama, they will fit in my husband’s bag with all the other stuff (though from the size of the pile it’s looking doubtful). If it doesn’t all fit, my dear Osama, you will have even more to answer for. 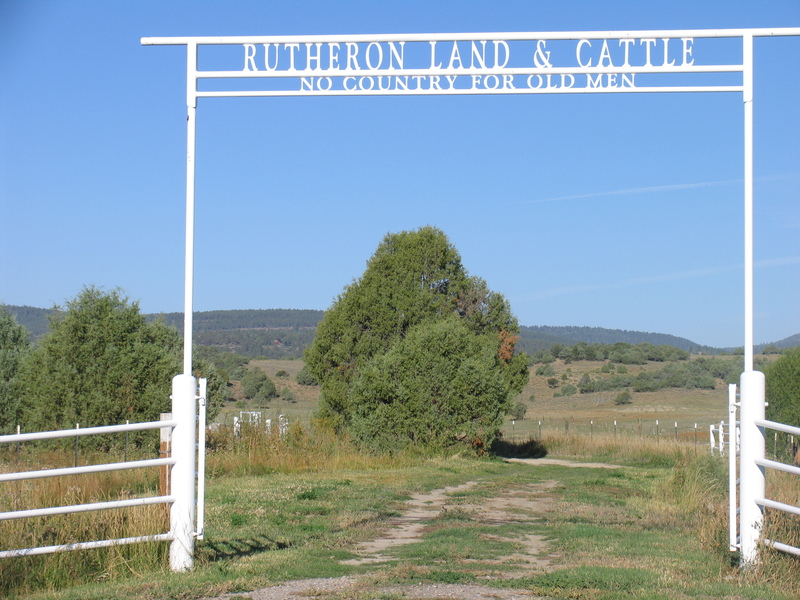 A ranch near Chama, New Mexico, has this chilling sign at its entrance. On Sunday morning my husband and I stood in line outside the Centre Street Café in Jamaica Plain waiting to have brunch. Ahead of us in line were two young men and a young woman, talking enthusiastically about everything, including the food they were about to eat. They looked like college seniors, but they were all doctors, residents in emergency pediatrics. The young woman recommended the Huevos Mexicanos, made with organic eggs and organic vegetables (of course, at organic prices). Organic is great, if you can afford it. Visit America and stumble on the greatest paradox of all: The country seems obsessed with health yet one in three adults is obese. And boy are they actively seeking it. Search Google and you’ll find 67,600,000 hits for wellness. Wellness for children, wellness for adults, wellness for seniors. But above all, wellness for pets. Two of the top three wellness sites are for pet food. Yes, pet wellness is right up there with godliness. But wellness for people (though not for everyone—God forbid there should be medical coverage for all) is growing in popularity too. It’s no accident that Whole Foods Markets has been climbing steadily up the ranks of the Fortune 500 companies, from 479 in 2005 to 284 in 2010, and that it doubled its revenues between 2005 and 2009 (going from $3.86 billion $7.95 billion), and this despite the recession. With enough money, it seems, you can buy wellness in this country. So why are so many Americans obese? Why are so many Americans sick with all the illnesses—cardiovascular disease, certain cancers, and Type 2 diabetes—that come with obesity? Why are nearly 17 percent of children ages 2 to 19 obese? They’re the people who are not shopping at Whole Foods. The highest obesity rates in the US are among blacks, according to the US Centers for Disease Control and Prevention. Next are Hispanics. A study showed that between 2006 and 2008 blacks had 51 percent higher prevalence of obesity, and Hispanics had 21 percent higher prevalence, than non-Hispanic whites. Geographically, too, obesity is highest in a cluster of states: Alabama, Arkansas, Kentucky, Louisiana, Mississippi, Missouri, Oklahoma, Tennessee, and West Virginia. In 2009, only Colorado and the District of Columbia had obesity rates lower than 20 percent. As I sat in Jamaica Plain eating my organic eggs (my pesticide-and-hormone-and-antibiotic-filled eggs in Jerusalem taste about the same) I pondered the great American paradox, in the land where wellness is first of all for pets and very definitely not free. Part of the fun of camping is having someone you can talk to. One of the things we talked about was how I almost fell off this cliff one night. My husband’s friend Yoram was horrified when he heard that Shraga and I would be traveling together in the United States for seven weeks. I understood why Yoram was worried. As far as I could tell, he didn’t spend more than 12 minutes a day with his wife, talking or not talking—on average, of course. So what did Shraga and I talk about for all those days and weeks? In Santa Fe we talked about the many rabbis and Jewish congregations we visited as part of my research for an article. We talked about the Spanish conquerors and their relations with the American Indians, and about the German Jews who ventured into the Wild West to seek their fortune. We talked about Georgia O’Keeffe and her landscapes inspired by the Southwest and the fact that she was married to the photographer Alfred Stieglitz, who was the son of German-Jewish immigrants and who brought about the recognition of artistic photography as a legitimate art form. We talked about John Irving and his novel Last Night on Twisted River, which Shraga had just finished and I had just started. Shraga can talk endlessly about Irving, his favorite American author; I was just getting my teeth into the book and was waiting to see how it would develop, so mostly I just listened. In the campgrounds we talked about how lucky we were to be able to be camping and how much we enjoyed the sense of self-sufficiency we got from packing everything we needed in the trunk of a car. We talked about where the sun would rise and how best to position the tent. We talked about the slow leak in the air mattress that meant we knew it was morning when our backsides touched the ground. 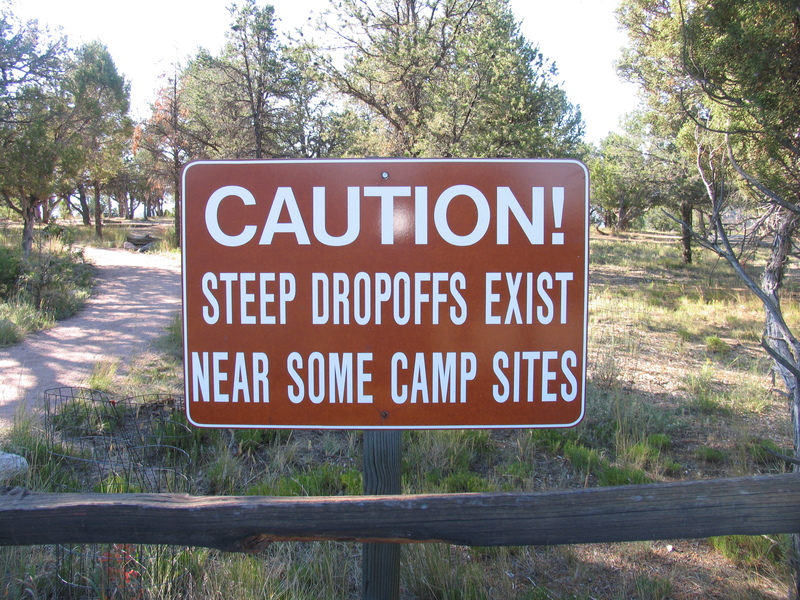 And we talked about how one night I nearly walked off a cliff when I went in search of the toilets. We talked about pancakes and maple syrup, omelets and salad, and all the other things we like to eat when we’re camping. We marveled at the beauty of America, at the national parks and national forests and especially the many, many state parks. We ended up camping in places we had never heard of, each of them a gem, and this was a constant source of wonder. We talked about the wrong turn we’d made in northwestern New Mexico that unexpectedly took us through forests with glorious fall foliage. And we talked about the road we’d taken west through Nevada when we had to change course and were surprised to find ourselves in dramatic, tree-covered mountains. And of course we talked about our children and the friends and relatives we had visited and would visit, and our work, and our plans for the next long trip we would take in the US. Oh yes, Yoram, there were about eight hours each night when we didn’t talk to each other because we were asleep, yet we still managed more then 12 minutes of talk a day—on average, of course. 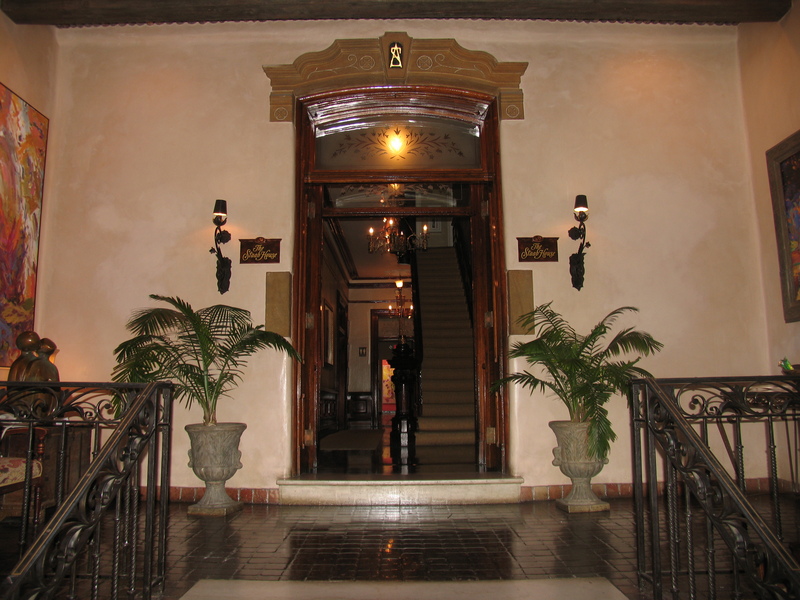 The entwined initials of Abraham Staab appear over the entrance to his home, part of La Posada de Santa Fe Resort and Spa. At first glance, La Posada de Santa Fe, a luxurious resort and spa in the center of New Mexico’s capital, looks like a pueblo-style inn. But just visible above its adobe outer walls is a 19th century mansion built in French Second Empire style. Walk in and you will see the initials A.S. entwined over the entrance to the Staab house. The Staabs were among Santa Fe’s social and commercial elite in the days when European Jews were treated as second-class citizens but their counterparts in the American West could become judges, mayors, and governors. When German-born Abraham Staab rode into Santa Fe in 1856 he was only 17 years old. He worked for a year for the Spiegelberg Brothers, among the first pioneers in the town, and then went into business with his brother Zadok. Theirs became the largest wholesale trading and merchandising establishment in the entire Southwest, and they were major supply contractors for the U.S. Army during the Civil War. They also acted as bankers before there were banks in the area and they invested in real estate. In 1865, Staab returned to Germany to marry Julia Schuster and promised he would build her a grand European home in Santa Fe. He was true to his word, and in 1882 he built a three-story brick home, one of the first brick structures in town, on East Palace Avenue, the most fashionable part of Santa Fe. The materials and the furnishings were all imported and included French antiques and Italian paintings. The house originally had a third-story ballroom with a mansard roof, but it was destroyed by fire at the beginning of the 20th century. Staab became involved in political life. He was the first president of the Santa Fe Chamber of Commerce and he was part of the Santa Fe Ring, a group of powerful attorneys and land speculators. He is credited with helping to keep Santa Fe as the state capital. His wife was a gracious hostess, and among the couples’ friends was Archbishop Jean Baptiste Lamy. Staab even contributed toward the construction of Lamy’s Cathedral Basilica of St. Francis of Assisi, a short walk from the Staab home. There is nothing on the Staab family tomb in Santa Fe’s historic Fairview Cemetery, which the Staabs helped maintain, to indicate that they were Jewish (and such is the case with the graves of many of the German-Jewish pioneers in New Mexico). But the Staabs did not hide their religion. A mezuzah is clearly visible on the doorpost of one of the main rooms in the house. Julia Staab is said to have suffered from bouts of depression, and she is also said to have never recovered from the death of one of her children in infancy and subsequent failed pregnancies. She died and was laid to rest in 1896, when she was only 52. But there are those who say her spirit is uneasy, and several La Posada employees have testified that they have seen her ghost or felt her presence. Some say she is troubled by the changes to her home. Others say she is merely keeping watch over the house, making sure that the guests are comfortable. Surely many of them would be surprised to learn that a Jewish spirit is attending to their needs. This was the card that heralded the surprise. How much can one expect on life’s journey, or on any trip? The song goes on in the same vein for another 14 verses, each of which says that if one thing had been done for us and not two, it would have sufficed. I couldn’t help thinking about that refrain recently, but this time in relation to our children. What do we want from them? What is enough? If they grow up healthy, it is enough. If they turn into decent human beings, it is enough. If they find life partners they can love and respect, it is enough. If they act to prevent injustice or promote the wellbeing of others, it is enough. That is what I was thinking when my husband and I arrived in Boston this month to visit two of our children and their families. But our children taught us that they could exceed our expectations. First, they were superb hosts. 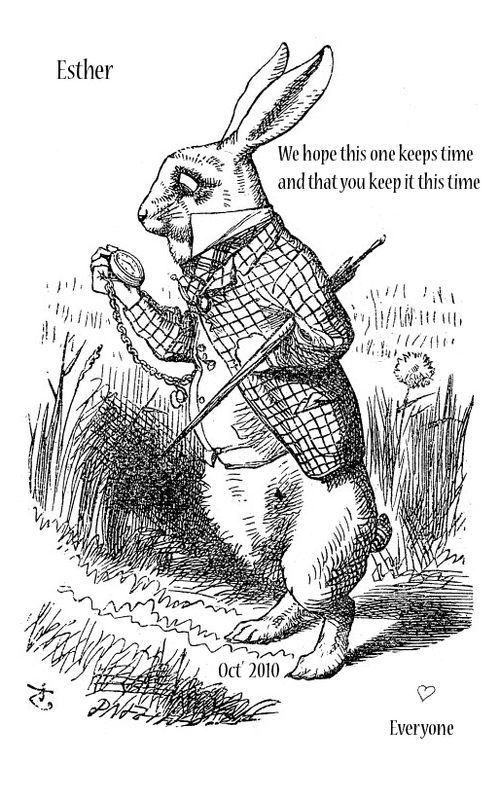 But also, having read in my blog that at the outset of this trip I had lost my favorite watch, the one that used to run backwards, they got together, found another just like it on-line, and presented it to me with the card that appears above. It wasn’t the watch itself (one I had quickly resigned myself to being without), but the love that had prompted them to make the effort, that touched me so. It was much, much more than enough. Jannine, "The Tomato Lady," also grows giant pumpkins. 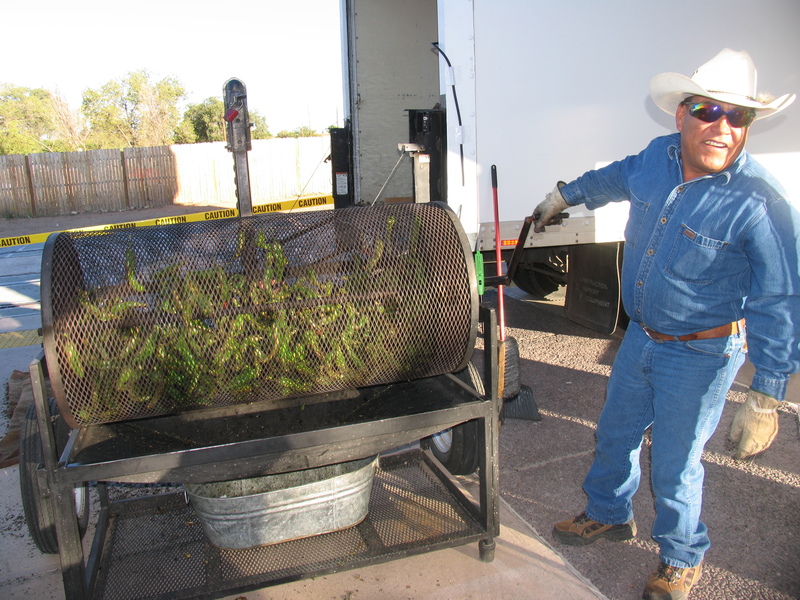 Visitors are invited to take a turn roasting green chilies in a hand-cranked mesh tumbler. LaMont's makes the club for the golfer who has everything. At 7 a.m. Saturday, while the rest of Santa Fe was still sleeping, dozens of farmers were already displaying their wares in the new Farmers Market. It is part of the Santa Fe Railyard, a newly developed area filled with galleries, a contemporary arts museum, restaurants, and boutiques. Peaches and apples, fresh flowers and chilies, and tomatoes of every hue were among the offerings, in addition to breads, cheeses, and honeys. 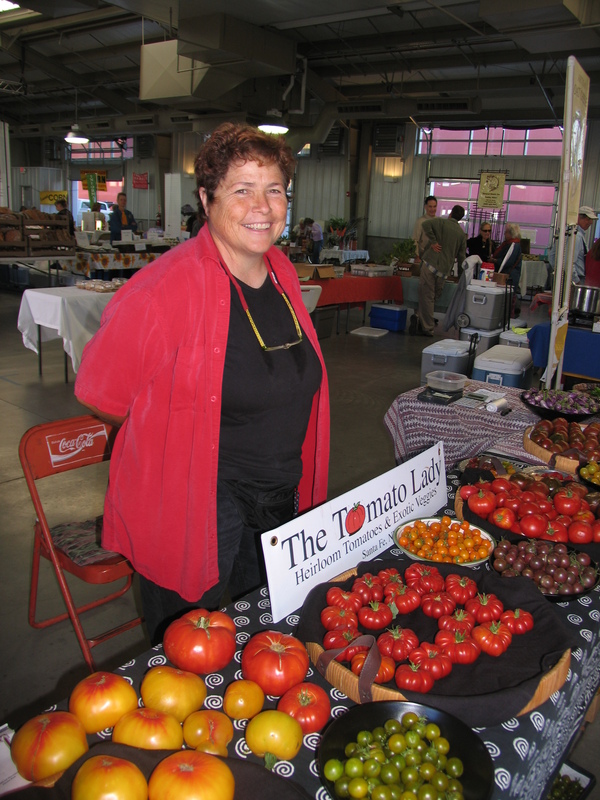 Jannine, “The Tomato Lady,” described with gusto each of the kinds of tomatoes she was selling and offered free samples. The golden cherry tomatoes were unbelievably sweet. Local farmers like Jannine coax out of that unaccommodating soil eggplants and squash, watermelons and pears, carrots and scallions, and chilies, lot and lots of chilies—red, yellow, orange, and green—some of which were being roasted before our eyes in giant hand-cranked mesh tumblers. You could even have a turn with the tumbler if you were so inclined. Nearby, alongside the lovely park that preserves the memory of the famous Santa Fe Railroad, dozens of crafts people set out their wares, providing nourishment for the spirit in addition to all that food for the body. And if all the organic produce left you hungry for some red meat, you could stock up on LaMont’s buffalo steaks at a stand where the vendor also offered proof that size matters, in an unusual product made from what he called “the reproductive organ” of the animal. 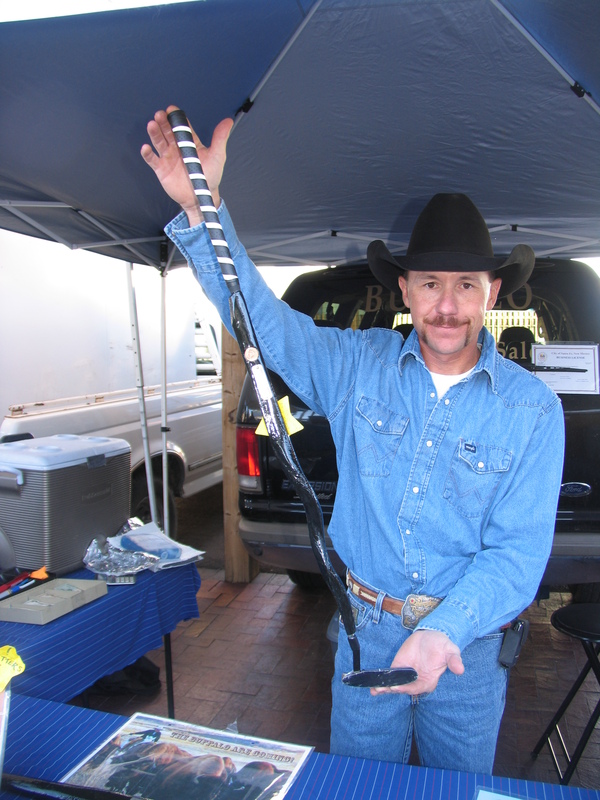 Perhaps you fancy an unusual walking stick, or a club that is sure to be a conversation opener on the golf course, marketed with the slogan, “Take a little of the old West home with you.” It’s much more than a little. 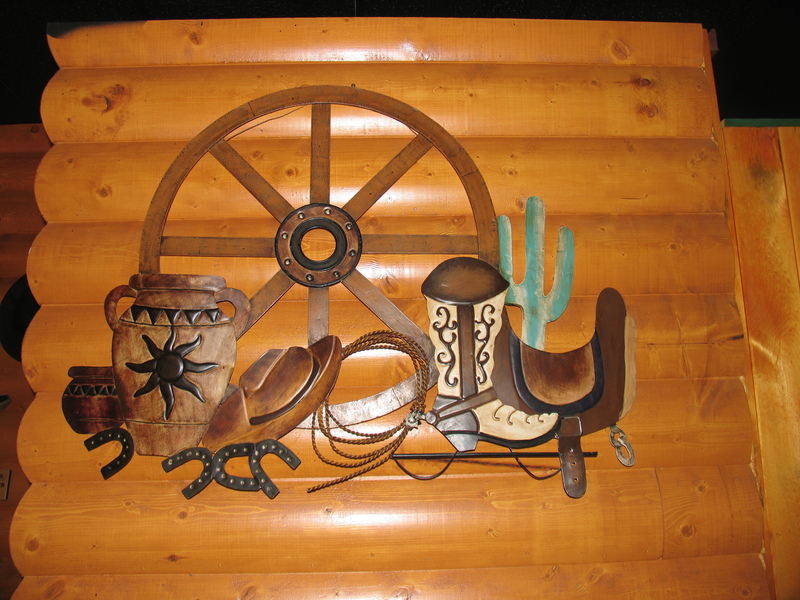 The decor is flagrantly Western at Wildcat Willies; to get bumbleberry pie you have to go to the tiny cafe in the adjacent gift shop. Zion National Park is being loved to death, and the tremendous commercial growth of Springdale, a wannabe Sedona at the park’s southern entrance, is one of the consequences. Yet some things seem not to have changed: You can still get bumbleberry pie in Springdale. In the 1970s, when my husband and I first drove up to Zion, there were signs for miles around advertising bumbleberry pie, something I’d never heard of but was tempted to taste. The café in Springdale that served it had a silly, forgettable story about the pie and its secret recipe, but the pastry itself, with its rich filing made up of a mysterious combination of fruits, was unforgettable. When we returned in the 1990s and camped in the park, the café was a full-fledged restaurant, but the pie was still as delicious as we remembered it. This year, after we were crowded out of Zion, we decided to console ourselves with a piece of bumbleberry pie. Alas, everything was changed. Now there was a Bumbleberry Inn, a Bumbleberry Motel, Bumbleberry Gifts, a Bumbleberry Bakery, and a Bumbleberry Theatre. There was also a new Wildcat Willies [sic] on the premises, now a pricy restaurant with Western décor where drinks are served in Mason jars, the service is ridiculously slow, and the pizza is superb. To get a piece of bumbleberry pie for dessert we had to go to a tiny café in the adjacent gift shop. The story that came with it was as silly as ever (though a Google search turns up a plethora of bumbleberry pie recipes, most of them using blueberries, raspberries, rhubarb, and apples). But this time the pie was a poor ghost of the fragrant treat we remembered. Heraclitus might have said something about not being able to bite into the same pie twice. But for us, losing Zion and the bumbleberry pie on the same day seemed an awful lot to bear. 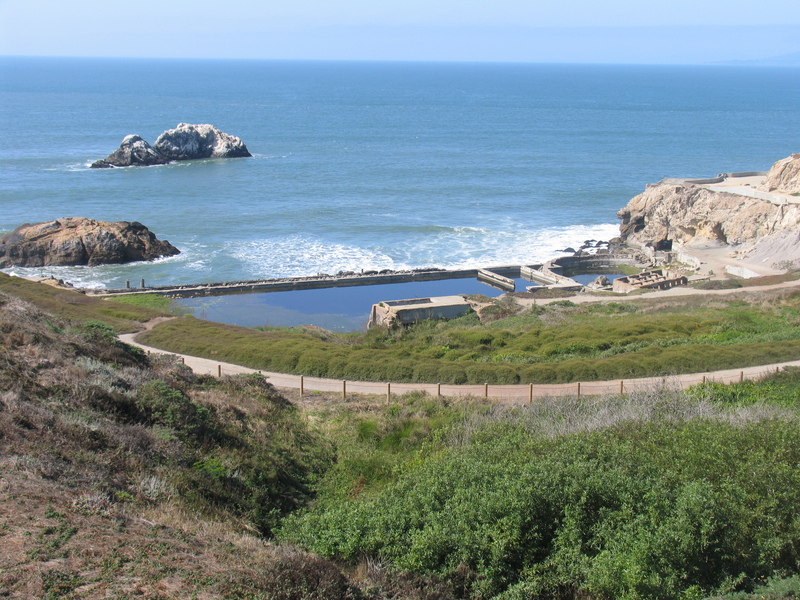 Only fragments remain of Adolph Sutro's magnificent baths, which were destroyed by fire. This Cliff House is the latest incarnation of Sutro’s vision for the city’s residents. 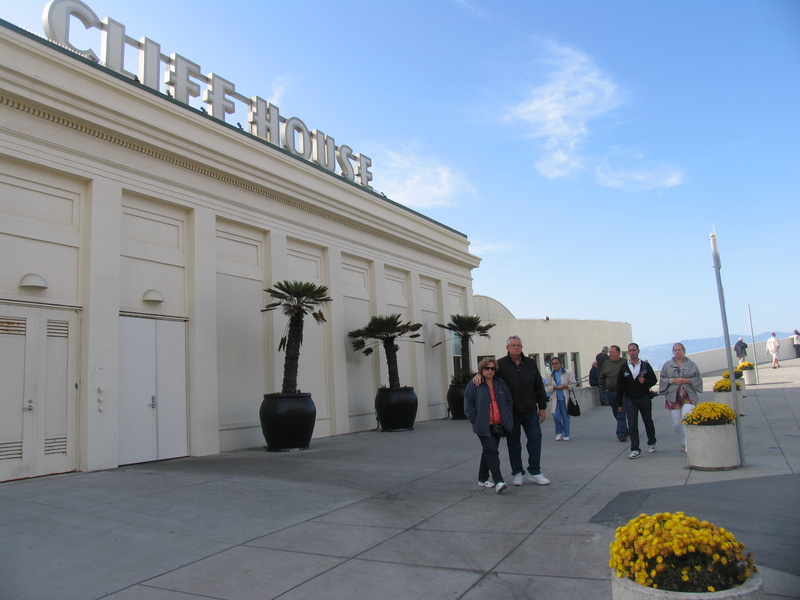 Almost every tourist in San Francisco visits the Cliff House, a restaurant and shop perched on a bluff with a sweeping view of the Pacific Ocean. But few visitors are aware of its connection to Adolph Sutro, a German Jew with unbounded drive and vision who made his fortune in mining and left his mark on the city in recreational buildings and parks. Born in Westphalia to a manufacturer of woolen cloth, Sutro was 20 years old in 1850 when he arrived in San Francisco by way of Panama. Starting as a night watchman in a crockery shop, he soon had his own shop, then another and another. But Sutro’s eyes were on the mines. In 1859 word spread of the Comstock Lode, which would turn out to be the world’s richest deposit of silver ore. Sutro was one of the first to travel to the site, 200 miles northeast of San Francisco. As a boy he had dabbled in chemistry; now he developed a method for extracting gold and silver from the ore discarded by the mining companies, and he made a fortune.His next venture was equally brilliant, but nearly disastrous: a $6.5 million, 4 mile tunnel to the heart of the Comstock Lode, which brought cool, fresh air to the mines and allowed ore to be transported by gravity to mills at the mouth of the tunnel. But Sutro’s opponents had slowed the progress of the tunnel for so long that it never proved profitable. Sutro got out of this venture just in time. Back in San Francisco in 1880, he started buying real estate considered worthless on the western side of the city and planted the sand dunes and hills with trees. Eventually he would own one-twelfth of the city’s land. Among his purchases was a sea-front property that included a small home, which he named Sutro Heights, and the Cliff House, a hotel. When the Cliff House was destroyed by fire in 1894, Sutro rebuilt it as a neo-Gothic, turreted public resort that had dining rooms, displays of curios, shops that sold shells and an observatory. He even built his own railroad, and then an electric streetcar, to bring visitors to the site. Meanwhile, however, Sutro had another project in mind: founding a great research library in San Francisco. He traveled to Europe and bought entire collections, including rare manuscripts and incunabula. By the time of his death, he had amassed 250,000 items, including Hebrew manuscripts from Jerusalem. Historian Irena Narell, in her fascinating book Our City: The Jews of San Francisco, describes this as the largest private library of his time. Half the collection, including most of the incunabula, was lost in the fire of 1906, but the half that remained became a crucial part of the San Francisco Public Library. After developing the lands around his home and opening them to the public, Sutro built a giant complex of six public swimming pools, each one heated to a different temperature. The entrance was in the form of a classical temple, and the complex included galleries filled with paintings, sculptures, and curios. The baths were destroyed by fire in 1966; the remains can be seen just north of the Cliff House. Sutro donated 30,000 trees and shrubs to the city to create what is known as Sutro Forest, on the hills just above the Cliff House. A beautiful walk on a dirt path with sudden, magnificent views of the ocean runs from Point Lobos, just above today’s Cliff House, to the Palace of the Legion of Honor. The seals that lived on the rocks off Point Lobos also became a Sutro project: He campaigned to have them protected by the federal government. In 1887, Congress passed an act giving the Seal Rocks to the city “in trust for the people of the United States.” In recent years the seals have taken up residence at Pier 39, at Fisherman’s Wharf, and the National Parks Service has become responsible for the Cliff House. In 1894 Sutro was elected mayor, a position to which he was ill-suited. It was a sad end to an exciting career. Interstate-70 cuts through the San Rafael Barrier, but what lies ahead? Santa Fe has so much to see: adobe houses, museums, galleries filled with fine art and museum-quality crafts, and irresistibly beautiful shops. But the city has one more attribute that visitors should take seriously: altitude. The receptionists at the Sage Inn, where my husband and I stayed, advised us to drink a lot. Every day the cleaner put two new bottles of water in our room. But I was busy trying to see as much as I could for a story I was researching and was walking a lot in the midday heat. I did drink, but not enough. By the fourth day—when my body should have been acclimatized to the altitude—I had a killer headache. By the fifth day the headache was accompanied by slight nausea. There’s a good reason I didn’t realize what was happening. I had been at high altitudes many times, but the only other time I’d had altitude sickness was about 20 years earlier, when my husband and I and two friends tried to scale Mt. Kilimanjaro. At the end of the second day, at an elevation of about 7,500 feet, I was suddenly hit by overwhelming nausea and diarrhea. But there was no headache. It was only after we left Santa Fe that I realized my symptoms were related to the altitude. 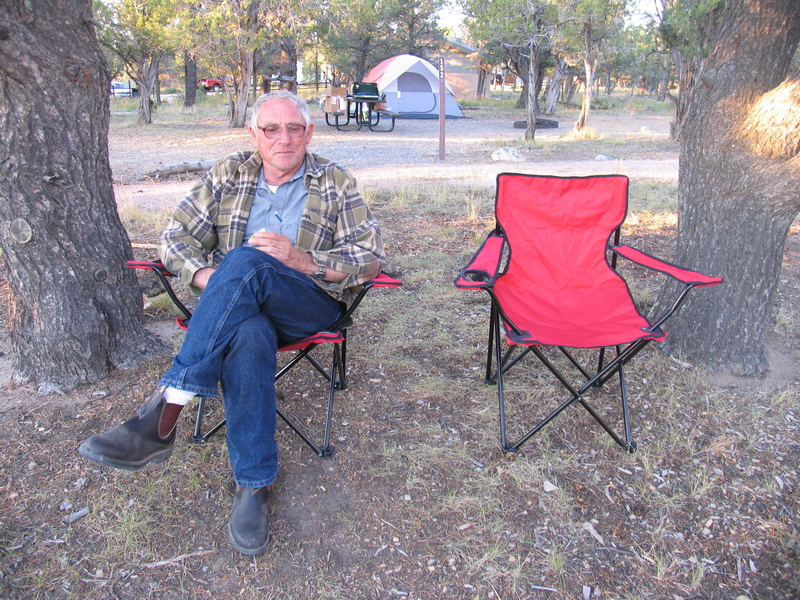 Our plan was to go camping, but nearly all the campgrounds were at the same elevation as Santa Fe or higher. So we set up camp at Lake Abiquiu, a large reservoir more than 1,000 feet lower than Santa Fe. The camp hosts repeated the advice given by the Sage Inn receptionists: Drink lots of water. This time I did, and I began to feel better, though the headache lingered. The next day we continued north and west, and in the town of Chama a pharmacist recommended Pedialyte, oral rehydration solution for children. The more I drank of it the better I felt. But two days later I again felt unwell: This time it was diarrhea, something like heartburn, a feeling of unease in my chest, and a tingling in my left arm. I kept drinking, but couldn’t eat. 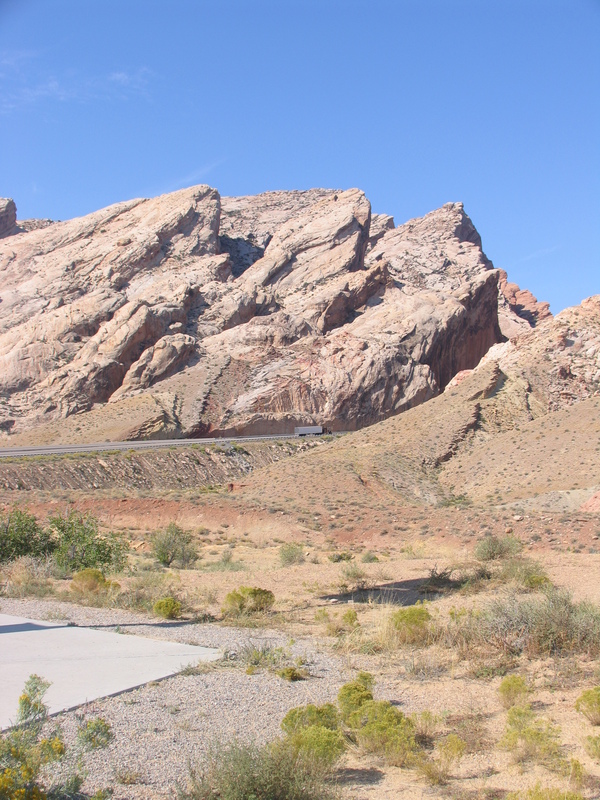 The next day we were on I-70 heading west, and after we passed Grand Junction, Colorado, we faced the scary prospect of nothing ahead but desert for hundreds and hundreds of miles, with no medical services. I decided to head for the nearest ER, about 30 miles south of the highway: Allen Memorial Hospital, in Moab, Utah, a town of 5,000. I had made the right decision. By the time I got to the hospital, after I’d drunk so much without eating, my blood sodium had dropped and my blood pressure had soared. After lowering my blood pressure and making sure my symptoms were not heart-related, Dr. Joseph Nelson diagnosed altitude sickness and acid reflux, gave me prescriptions and released me. Even after I eventually reached sea level, shortness of breath dogged me on and off for days. It was a tough lesson, but next time I’m in high country I’ll be sure to drink and eat.